At Proper Service we offer complete foreign and domestic repair and service. We are the right place for all your automotive service needs. We care about our customers and have your best interest in mind when repairing or servicing your car. We pride ourselves in offering quality work, experienced and trained technicians, and dependable service. Please continue to browse our site to learn more about our staff and services. 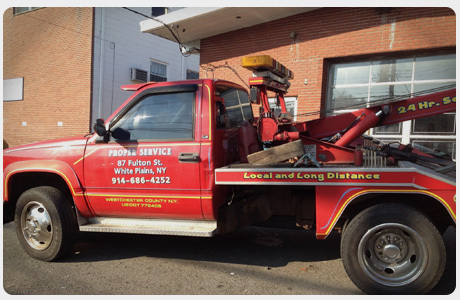 Call us at 914-686-4252 to schedule your next service, repair or NYS Inspection. The Proper Service Auto Center team offers 40+ years of combined experience in foreign and domestic service and repair. We insist that our technicians remain current with all industry developments via continuing education classes. We ensure that our systems, technology and diagnostic equipment is up-to-date in order to provide excellent customer service and quality vehicle repair. We adhere to manufacturer-specified standards for equipment, supplies and technical training. Joe is an ASE Certified Master Technician with Advanced Engine Performance Certification. Joe graduated with honors from the Denver Automotive & Diesel, School for Automotive Repair. He honed his skills and craft under another master, and in 2005 fulfilled his dream and opened Proper Service Auto Center, where he has been co-owner for six years. His leadership, business acumen and dedication to customer service has allowed him to run a successful business with a loyal customer following for the last six years. John has been Joe’s partner and co-owner for the last six years. As co-owner, his priorities are many but he is focused on quality workmanship and customer service. He stays abreast with industry developments and standards in order to maintain their commitment to quality service and repair. 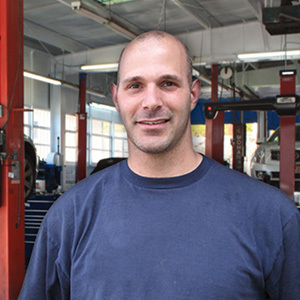 Jason has been with Proper Service Auto Center for over 8 years. He is a very talented technician with advanced technical knowledge and is passionate about his work. He is a key member of the team and has built a reputation of trust with his customers. Antione recently joined the Proper Service team. He can handle a variety of automotive repair services like collision repair, auto body repairs and painting, axle, CV joint, and drive-shaft repairs, replacement and repairs of belts and hoses, brake repairs, electrical system repairs, engine diagnostics. He’s a very talented technician and will keep your car looking good and running at it’s best.